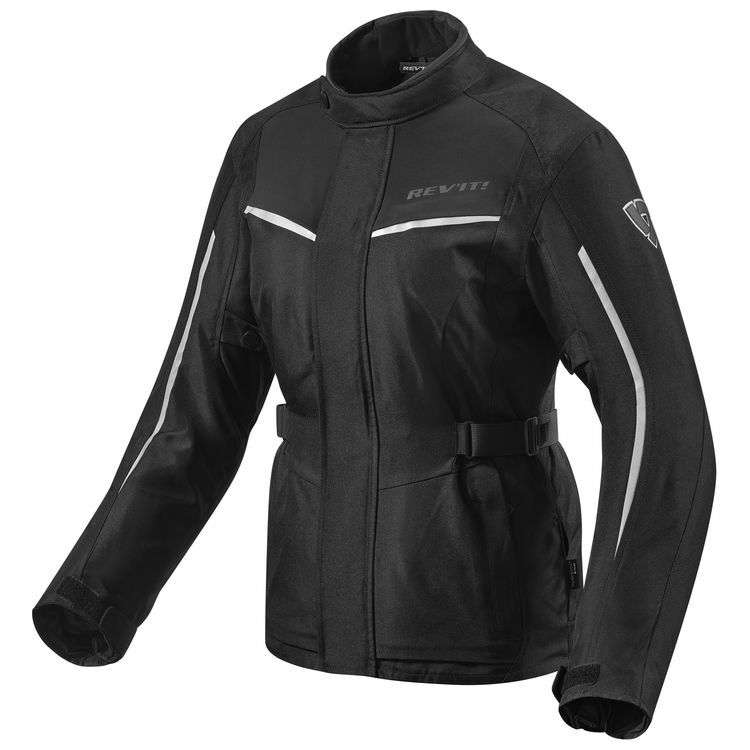 The REV'IT Voltaic 2 Women's Jacket is the second generation jacket that now brings softshell material in the shoulder area and redesigned reflective striping. Elbow and shoulder SeeSmart CE level 1 armor provides more comfortable impact protection compared to the first generation jacket's stiff armor. Add in a back protector to complete the protective armor set. A non-removable Hydratex waterproof membrane keeps out wind and water. Zippered venting flows air directly to the membrane to preserve waterproofing. A removable thermal liner keeps you warm when you need it.